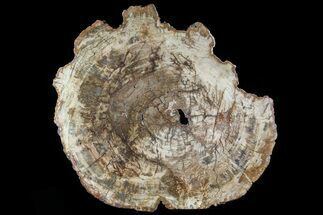 This is a large, 20.2" wide, polished slab of colorful petrified Araucaria (Conifer) wood from Ambilobe, Madagascar. 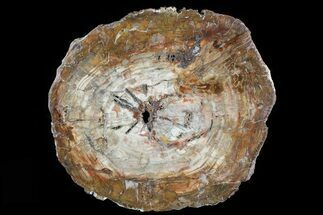 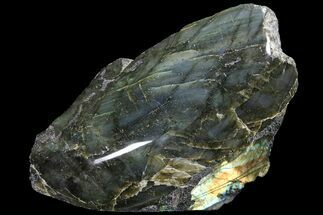 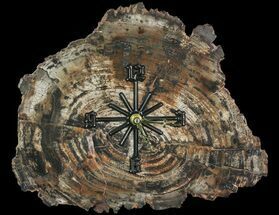 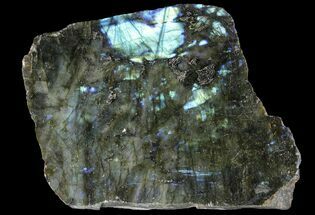 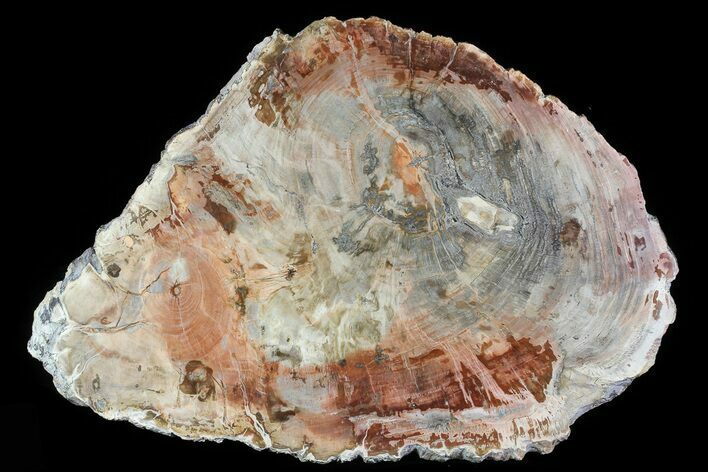 This 220 million year old petrified wood has been sliced and polished on both sides allowing the stunning inner wood detail and fantastic coloration to easily be seen. 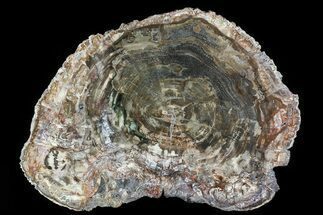 The thickness varies from .6 to .85" thick and there is a bit of scuffing to the polishing on one side of it.